I have a few shout outs for the people who have helped me out. Tamar Hela has helped out with editing and proofing since 2013. She is fabulous to work with, and can fill the shoes of a developmental and copy editor. Beth Braithwaite loves to trudge through first drafts (and that takes a special kind of person). Her website isn’t up and running yet, so if you email me through my contact page, I will forward inquiries. Matt Ross helped me update my very out of date headshots. He is amazingly talented and a delightful person to work with. Vera Kyle Walker has created all of my cover art for The Watcher Series, as well as, the Slayer tattoo. If you need some graphic design work, she is one of my favorite people to work with. She is kind, creative, and meets her deadlines. 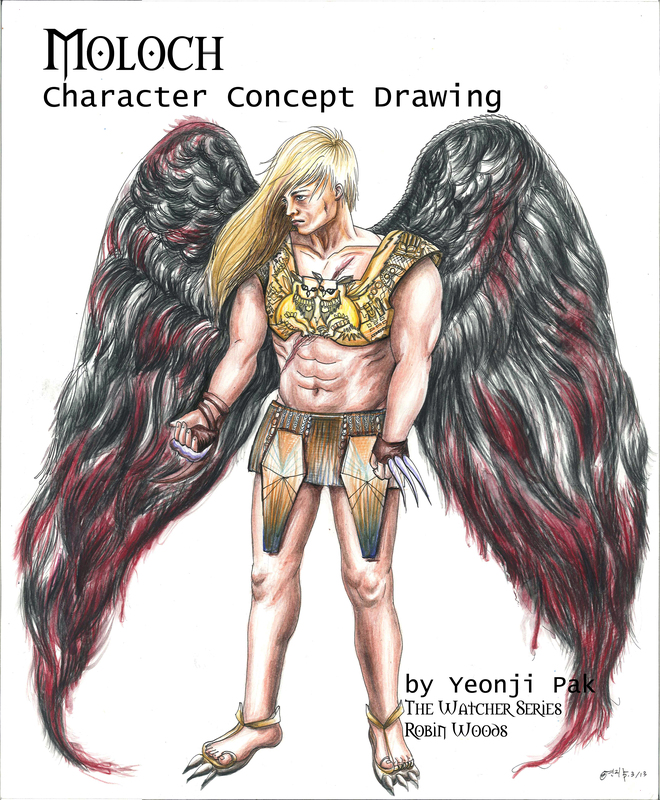 Yeonji Pak did some concept art for me. She is an amazing, up-and-coming mixed media artist.